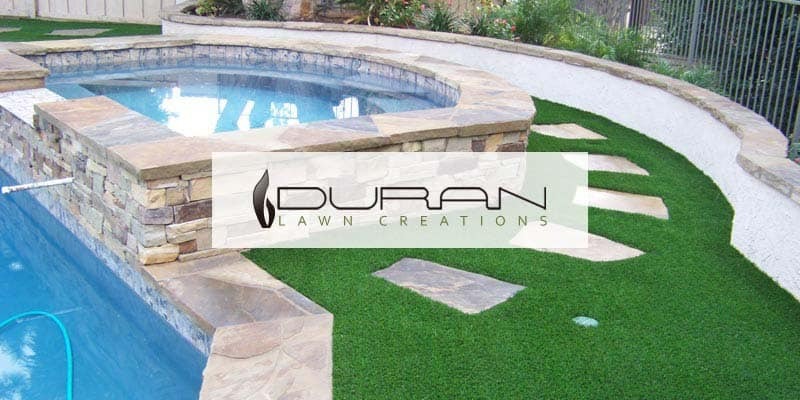 For 10 years now, Duran Lawn Creations has proudly installed artificial grass and putting greens with the highest level of quality, professionalism, and expertise. We offer and install the best products anywhere in Santa Barbara County, San Bernardino County, San Diego County, and everywhere in between. Our experience and knowledge is what sets us apart from our competition. Using the most modern and advanced synthetic grass products, we install all types of residential and commercial landscape, including putting greens, playground, sportscape, and pet turf. We are an authorized dealer of Synthetic Grass Warehouse products, one of the leading artificial turf manufacturers across the nation. We exclusively use SGW’s products because we want to offer our clients only the best products that truly look and feel just like a natural lawn. Our installation process is detailed and meticulous because your vision should always come to life perfectly. We believe in putting in our best work 110% of the time and our goal is provide our clients with a landscape sanctuary they can enjoy for years to come. We work with our clients to pick out the perfect turf product and design a beautiful yard their neighbors will be envious of. Duran Lawn Creations’ services stretch all across the Southern California region and we’d be more than happy to travel anywhere in the United States and Mexico for larger installation jobs. Contact us today for a free estimate and let’s talk about how we can make your perfect outdoor oasis.